This week I am proud to introduce a guest writer for today’s post. My sister Dale Beebe-Farrow and her husband Bo, went on an exciting trip through central and eastern Europe, seven countries in all. One of which was Hungary. 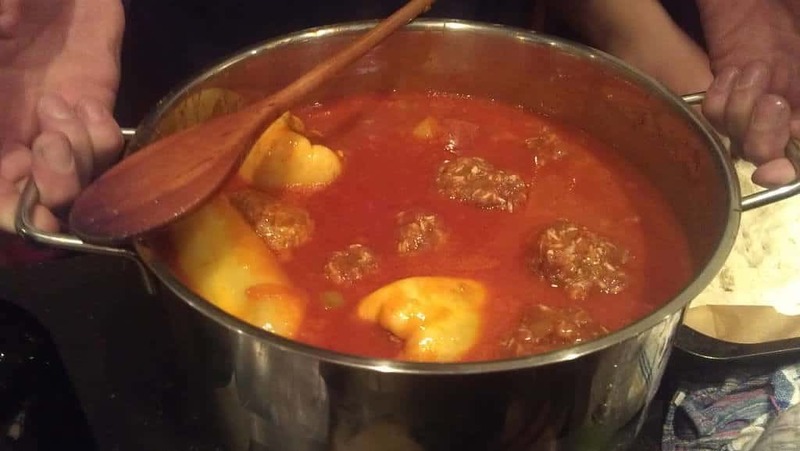 Here is her detailed account of a cooking class and dinner that they enjoyed while staying in Budapest. My sister, Darlene Longacre, founder of International Cuisine, discovered Taste Hungary thru favorable travel reviews of Budapest cooking adventures. Many rovers felt it was a highlight of their travels. Our group: My husband, Bo Farrow, Amy and Chuck Miller (Bo’s niece and nephew-in-law who flew in to meet us from Amsterdam) and me. Gabor Banfalvi is the husband of Carolyn, who founded Taste Hungary. Gabor picked us up at the Intercontinental Budapest at 4 pm. He is a handsome young man and father of two youngsters. He was born in Hungary and married Carolyn after meeting her on a cruise ship where they both were employed. As it turns out, Carolyn is from Washington D.C. Chuck and Amy also grew up in that area and were sure there were maybe no more than one or two degrees of separation between their respective friends and families. Gabor said they will travel there in June for Carolyn’s brother’s wedding. Unfortunately, Carolyn was home with the children and we couldn’t quite persuade Gabor to get her to join us. We piled into Gabor’s car and drove across town to a community center just on the edge of Budapest’s District 8. District 8 is home to a large Roma (Gypsy) population. The community center is a carry over from the communist era and now serves as a job placement center, child care and community event center for the Romas. 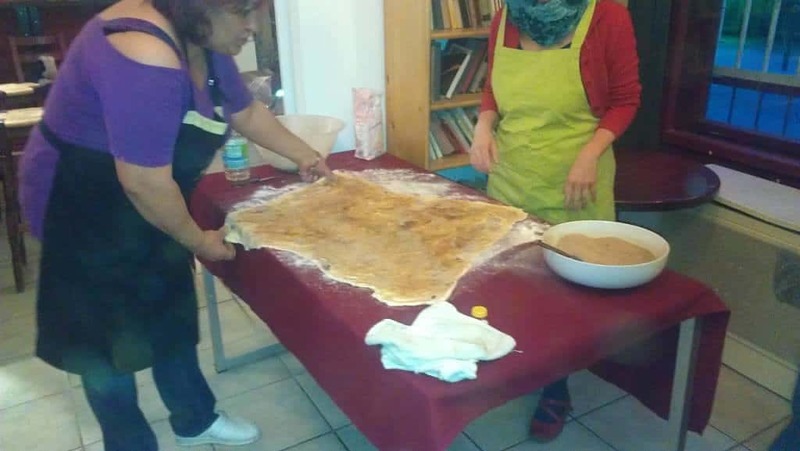 It was only fitting to have our Roma cooking class at the center. Gabor told us the term “Gypsy” is not used anymore. It came from the nomads of Egypt. The term Roma comes from the Romance language and is the preferred nomenclature today. Gabor carried in a box of seven wines they had selected for the evening. As we entered the center we were introduced to Monte. Monte was to be our main chef but her culinary background is home cooking for her family rather than formal training. Gabor opened a bottle of Furmint Nobilis, Tokaj 2011 ( a lovely white Hungarian wine) to welcome us to the class. He gave us a Hungarian toast “Egeszsegedre” meaning, “to your health” and then they offered us one we could actually say “See-ya,” or cheers. 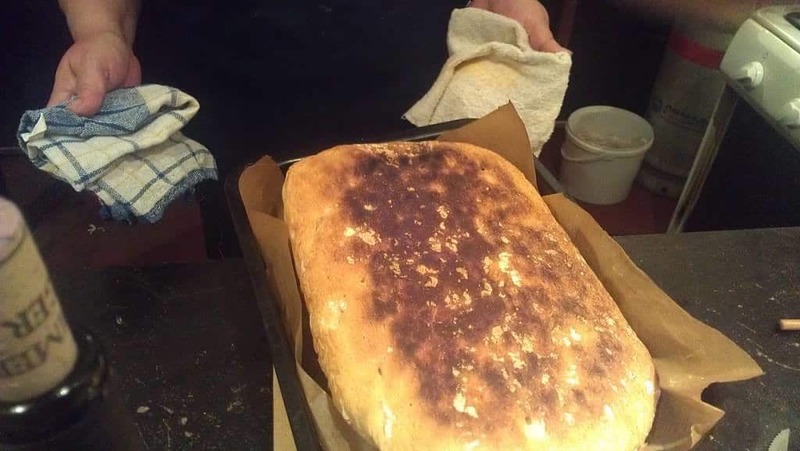 We began preparing a Gypsy cheese dip appetizer (Ciganyturo) and making traditional Romani bread which is simply flour, yeast, salt and water allowed to rest then formed into flat round tarts that were cooked in the skillet. The cheese looked like feta but we were told it is farmer’s cow cheese. We added hard boiled eggs (the normal Hungarian version does not add eggs but adds caraway seeds) and sour cream, then cut onions, peppers and tomatoes and sauteed them in paprika until it made a thick stew. 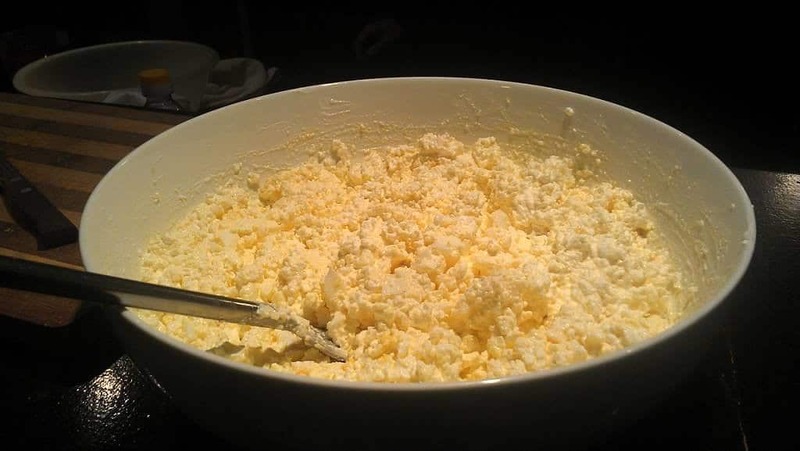 Once they cooled, we added them to the cheese mixture and refrigerated the dip to blend the flavors. Gabor told us Hungary had a war over paprika and sunflower oil with the Turks. 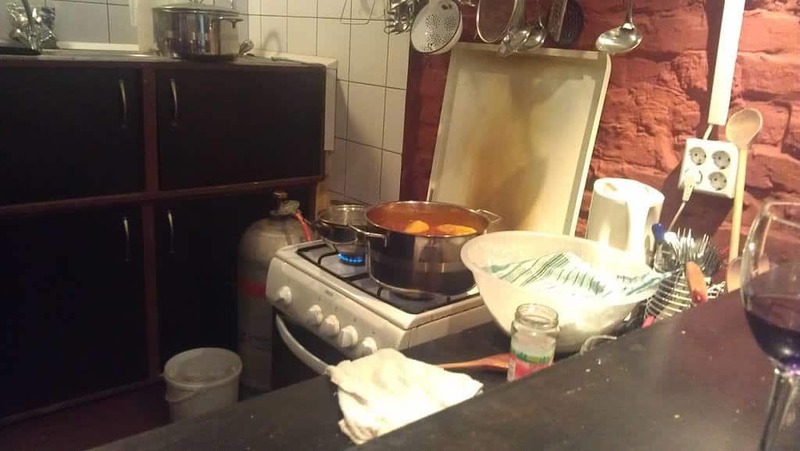 Hungary prevailed and its cooks prepare many dishes with different Hungarian varieties of paprika. There is sweet, smoked and hot paprika. The hot is created by retaining the veins of the pepper during the drying process. While Gabor opened a bottle of Heimann Szekszard 2013 Rose, our musicians arrived. Veronika, (Vera for short) was a tall, pretty, dark-haired drama student and Joula, a thin young music student who played a borrowed Fender acoustic guitar. Gabor told us they are not professional musicians but students. She played wooden spoons and a tin can to keep rhythm and had a sweet voice. Their harmony was quite nice. Next, our preparations were directed to Vegyes nyakleves (mixed neck soup). 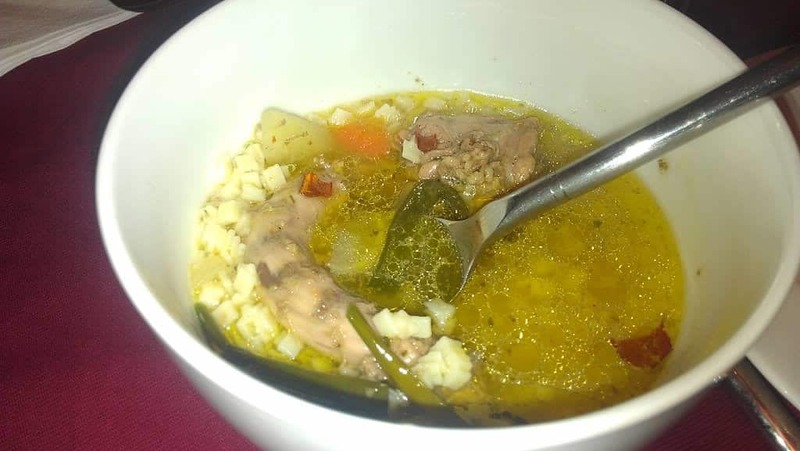 Turkey necks make the best broth, we were told, and this dish celebrates that fact. It started with sauteing onions in sunflower oil, adding carrots and parsnips then water and cooking until tender. Small pasta squares were boiled separately and added at the end. Chuck, being our group’s gourmet cook, soon became Monte’s go-to guy for precise chopping although Amy and Bo and I lent a hand as best we could. Gabor told us they often make a pig womb soup as well. “But of course there’s the charge for womb service,” I said, unable or unwilling to help myself. The rose’ wine Gabor poured was unlike any rose’ I’ve ever tried. Amy said in Europe the rose’s are quite different than in the U.S. and this was a fine example. It was not sweet, but had a freshness and fruity complexity. Very nice. Gabor told us, historically, there are three main Hungarian Roma groups, the Hungarian Gypsy or Romungro, the Olah Lavari, and the Beas. The Beas have the oldest language and lived in the forests and were skilled in making things from wood. They were very family-oriented but not so friendly to other groups. The Olah Larvari (also called Vlach)were traders. The Romungro are the workers and tend to be very smart in traditional business. The Romas dress in colorful outfits with many layers. Boys wear blue shirts with vests and black hats adopted from the Jews of Transylvania. The girls wear long flowing dresses and colorful scarves and love to dance. The Romas were victims of the German ethnic cleansing, like the Jews and though the estimated number of victims varies widely, some suggest they suffered as many as1.5 million deaths. There were also mass sterilizations done to the Romas and they were used as slaves for many years. Today they are receiving more education, job skills and are slowly being accepted into more mainstream Hungarian society. Our main dish for the evening was to be Csobankai toltott parika (Stuffed peppers “Csobank” style.) We learned that black pepper was replaced by paprika after WWII when black pepper could no longer be found. Originally the paprika peppers would be piled in yards in perforated bags and left to dry for a month. Their stems were removed and their seeds were ground to produce oil. Our dish was to be prepared with pork. Our hosts knew I did not eat red meat and thought that pork would be OK. But when they learned I don’t eat pork either they decided to make me my very own vegetable-stuffed pepper. 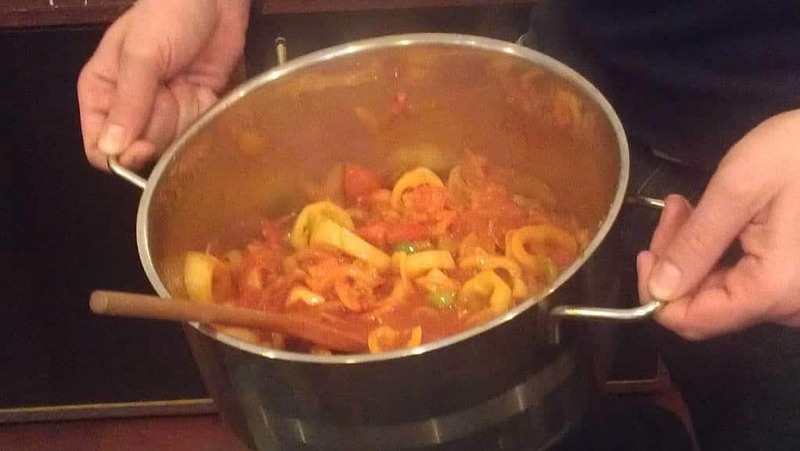 The preparation began with making the lesco (stewed peppers and tomatoes). The onions are sauteed until clear and glassy. Paprika is added, followed by the peppers, tomatoes and tomato paste. The mixture is cooked over low until it turns into a stew and is seasoned with salt and pepper. To make the stuffing (for the meat-eaters), onions were sauteed in sunflower oil. Sweet paprkia and garlic were added. The pork was combined with the rice and onion mixture and stuffed into the peppers (once again Chuck was our master pepper-stuffer. ) The stuffed peppers were arranged in the lesco and cooked until the meat and rice were done. Gabor opened the Bikaver (Bull’s Blood) Thummerer, Eger 2009. He tasted the first bottle and thought it was not up quite up to standards so he opened another. (The first bottle was gladly accepted by the musicians who hastily called a band-break to step outside to smoke and drink in the lovely night air). Our wine was bold, rich and complex. Now, let’s eat! We were finally ready to sit down for dinner at the sturdy family table set for five. We started with the cheese appetizer on bread, followed by the neck soup. Both dishes were delicious, but I think I have never tasted a better broth soup. The main course was stuffed peppers with pork, vegetables and rice (and of course, my vegetarian version). It was served with a bread loaf that got a little overcooked but still hit the spot. As we ate, Monte and her assistant were busily preparing dessert, cinnamon rolls, on a nearby table. They spread a table cloth and dusted it with flour. 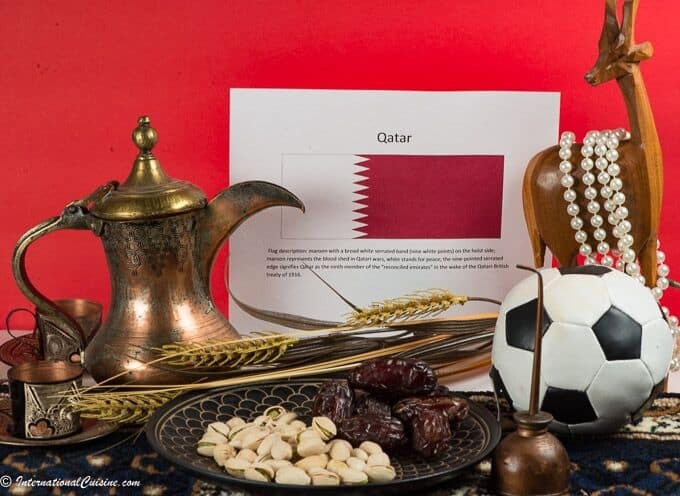 The dough comprises the same simple ingredients as the bread; flour, yeast, salt and water. The dough was left to rise and then split in two parts. One part was stretched over the table and rolled out very thin. Monte brushed it with melted butter and sprinkled with half the mixture of sugar and cinnamon. She repeated the process with the other half of the ingredients and made layers to create the rolls. Into the oven they went, baking until golden brown and so fragrant we couldn’t stand it! Once our dinner plates were cleared, Gabor opened up the Szamorodni, Oremus, Tokaj, 2009. This was a dessert wine Bo thought similar to a Sauterne. With it we were served the spicy, aromatic cinnamon rolls. We enjoyed them enormously, slowing down the evening, taking our own sweet time over them. After the banquet, we joined in the music, trying our hands at playing the tin can and wooden spoons. We hummed along to the music of the Romas. Time had come to drive back to the hotel. We said our thank yous to Monte and her staff and the musicians and joined Gabor in the car. He took us home thru narrow, winding streets, along grand, gently curving boulevards, over the bridges of the Danube. Budapest is divided by the broad, flowing river, Buda on one side, Pest, pronounced Pescht, on the other. It is astonishingly beautiful at night, its buildings washed in striking light. From the Queen Elizabeth Bridge, it shimmers. 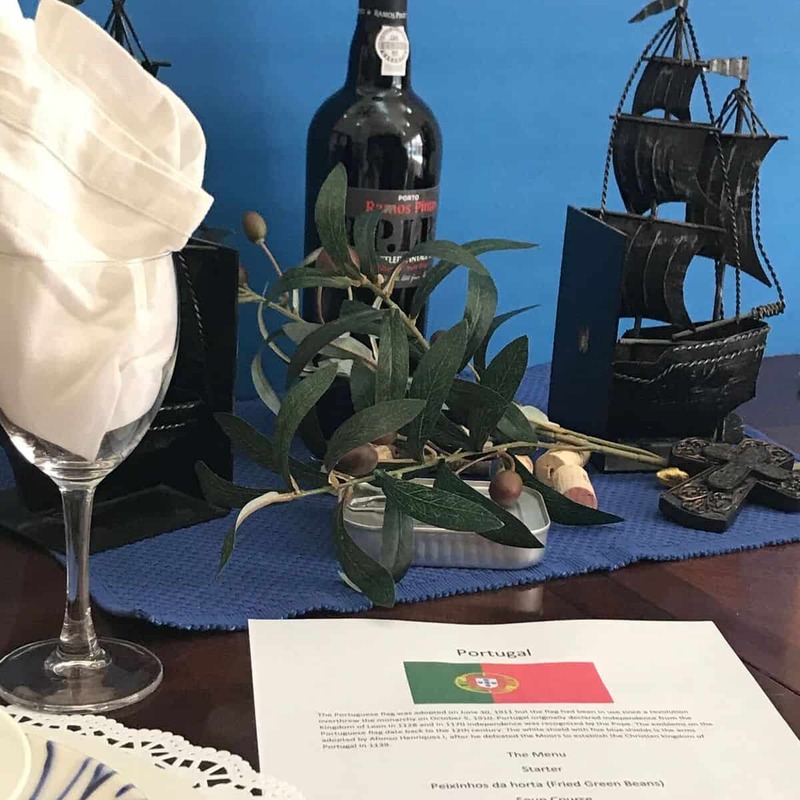 For us, this was a meal, a lesson in a people’s rich history and its cuisine, a city and a country and its people today we’ll think more about, fondly as we go.